What can save us from our sins? Can good works or religion merit salvation? Who can save us? Can our parents’ faith save us, or the devout character of a beloved pastor? These things and people cannot save. We are condemned by the law and can only be freed by the blood of the covenant. “Hosanna to the Son of David!” Hosanna is a plea to “help” or “save.” Who else can save us from that pit of despair—the curse of the law—than the one whom God sent to accomplish that deadly mission to save others? The sacrifice of Christ Jesus, the Son of David, provides the blood of the covenant, poured out for many for the forgiveness of sins. The new covenant in Christ’s blood is our only certain hope of being set free from the pit. For as he was “put to death in the flesh but made alive in the spirit,” we too, “if we have died with him” in baptism, “will also live with him” (2 Tim 2:12; Rom 6:4). 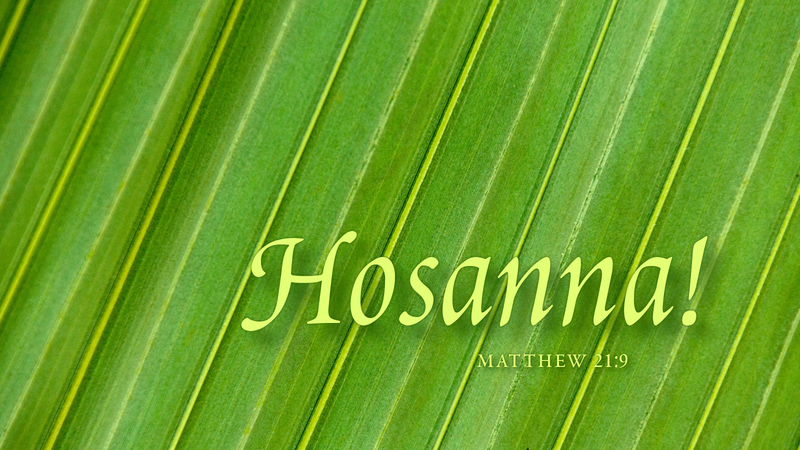 Join the crowds and cry out, “Hosanna!” For “everyone who calls upon the name of the Lord will be saved” (Rom 10:13). Prayer: Christ Jesus, my Lord and King, thank you for freeing me from the pit of the law. Amen.